8 spots with authentic Chinese food. Despite the decades-old Moscow-Beijing Friendship, authentic Chinese food has been really hard to find in the Russian capital. But as thousands of Chinese students and tourists flock to Moscow each year, they have been hankering for a taste of home — and now they found it. Assuming that your Mandarin isn’t up to reading the numerous lists on Weibo and WeChat, The Moscow Times offers eight options to satisfy your Chinese craving. All of the restaurants below have Chinese chefs and an almost entirely Chinese clientele. What better recommendation could you want? Chinese dishes are meant to be shared, and nothing exemplifies this ethos better than the Hot Pot. Hot Pot consists of a large pan filled with seasoned broth on top of a fire; diners hold all kinds of ingredients in the broth to cook them. Wang Ji specialises in Cantonese Hot Pot and is known for the sheer quantity and quality of its meat. Look around and you’ll see cow-shaped trays filled with beef from each part of the animal. 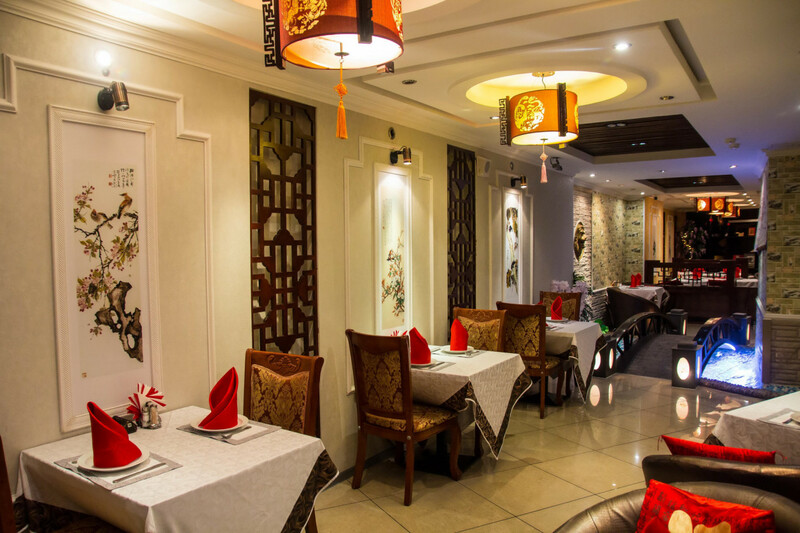 Qingdao is not the easiest restaurant to find, but it is one of the best in the city. The entrance bears no sign; look for hanging red lanterns. Qingdao serves all types of Chinese cuisine but, if you happen to bring a friend with less adventurous taste buds, Russian pelmeni are also on offer. 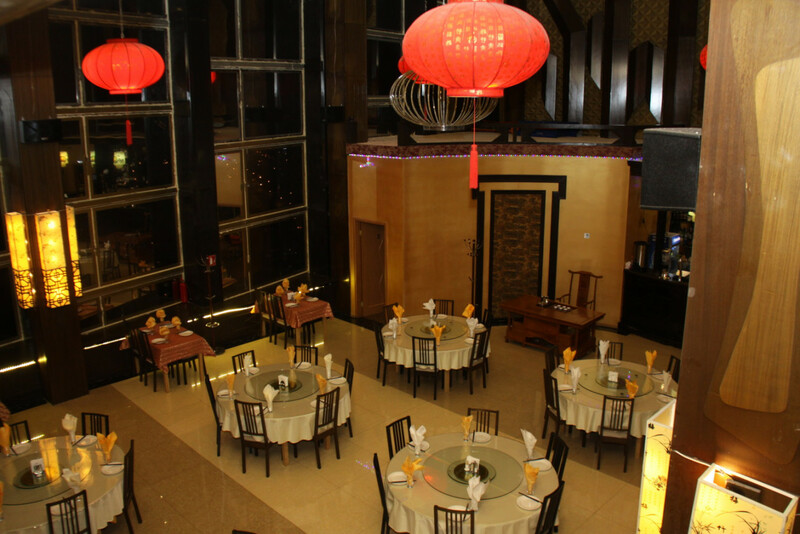 As the name suggests, Harbin specialises in northern Chinese food. 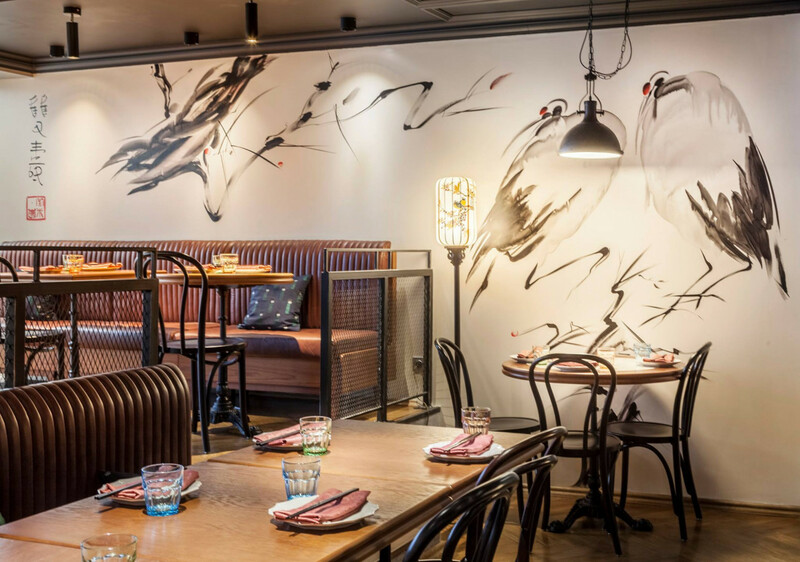 The restaurant prides itself on its chef – a native of China’s northern-most province who has worked in some of the country’s most prestigious restaurants. 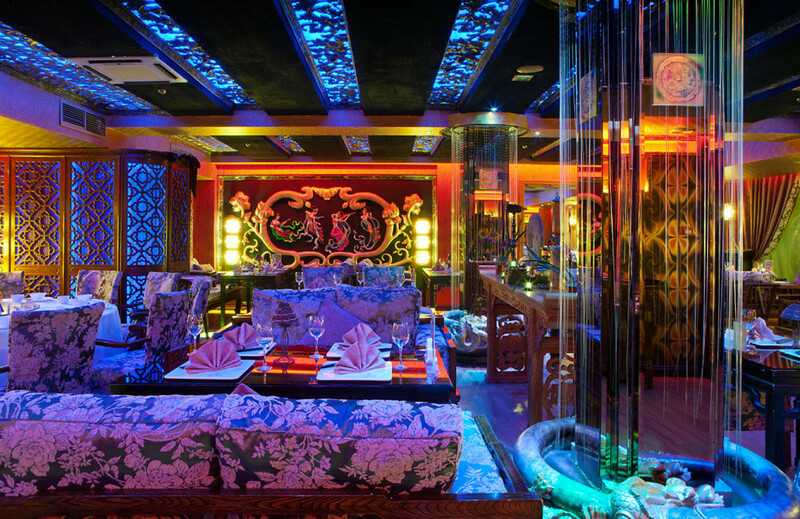 Like Qingdao, Harbin is an underground affair but the lively décor – which includes a bridge and artificial pond – makes up for the lack of windows. 56 Bolshaya Yakimanka Ulitsa. Metro Oktyabrskaya. Website here. The name of this restaurant may be half Western, but its content is 100-percent Chinese. Hailing from Shanghai, owner Jimmy Li proudly states that all his food is cooked in a wok over an open fire and seasoned only with original spices brought from China. He even strives for authenticity in the décor, and so everything you see was brought from his homeland. Keep your eyes peeled and you might spot some Chairman Mao kitsch. 12 Prospekt Mira, Bldg. 1. 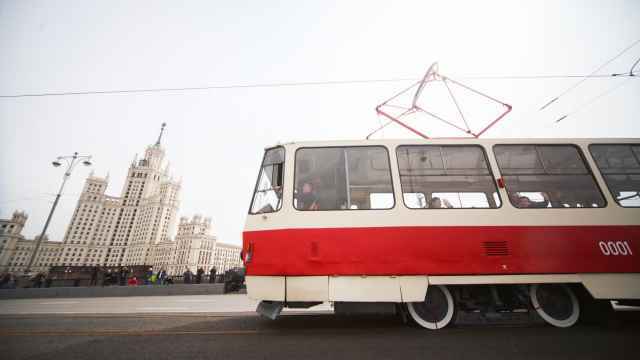 Metro Prospekt Mira, Sukharevskaya. Website here. 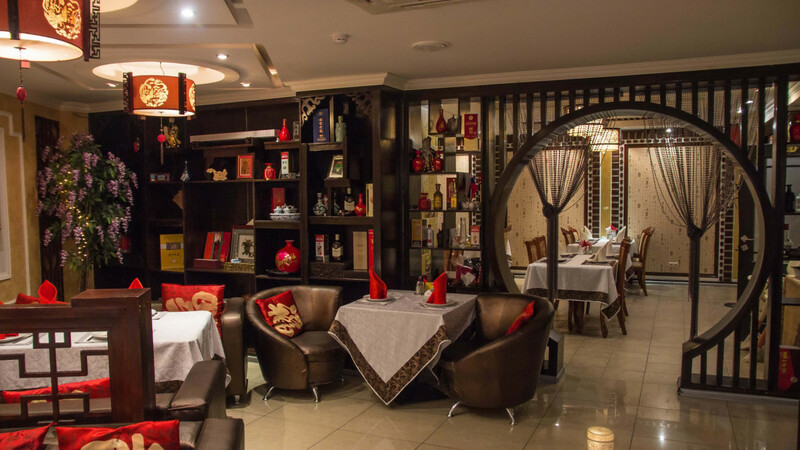 Beijing Garden is a Moscow-based restaurant chain serving all types of Chinese cuisine, including the famous Peking Duck. 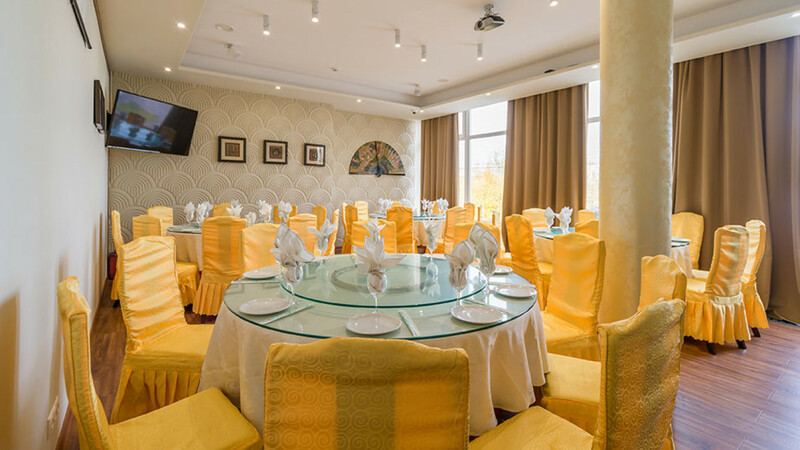 The chain has three restaurants in the capital and, if you happen to be out on a day trip, there is even one in the famous Golden Ring town, Sergiev Posad. Metro Elektrozavodskaya / Cherkizovskaya / Prospekt Vernadskovo. Website here. Sky View is one of four restaurants comprising the ‘Chinese Restaurant Alliance’ represented by the Russian-Chinese tour operator Magelan-M. Boasting an impressive panoramic view from the 33rd floor of the Central House of Tourists, Sky View offers dishes “prepared according to the canon of Chinese cuisine.” The restaurant now offers Hot Pot, too. 146 Leninsky Proskpet. Metro Yugo-Zapadnaya.Website here. Named after China’s illustrious Tang Dynasty, Restaurant Tan specialises in cuisine from Shandong Province made by chef Niu Haitong. If the food is so good you want to sing, Restaurant Tan has you covered: On Fridays and Saturdays they boot up their karaoke machines for any diners who want to take the stage. 13 Oruzheiny Pereulok, Bldg. 1. Metro Mayakovskaya. Website here. True to the region’s reputation, you’ll find spice and chillies galore here in this Sichuan restaurant. But don’t worry: The level of spicy-ness is indicated on the menu, so you won’t be caught by surprise. 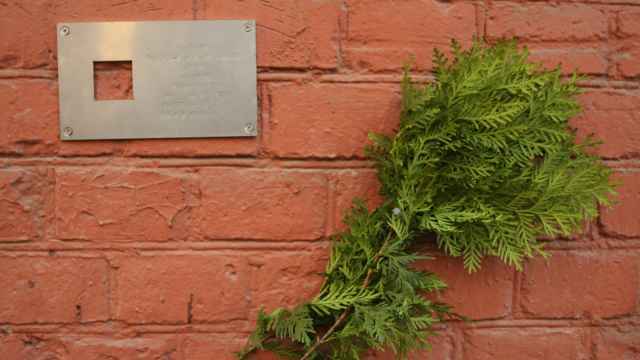 27 Lubyansky Proezd, Bldg. 2. Metro Kitai-Gorod. Website here.